As the mother of two tween boys, let me first assure you that SCREEN PLAY by Linda Daugherty premiering this Friday at DCT is NOT an admonishment to parents for letting their kids play with screens. Now relax, and please keep reading. 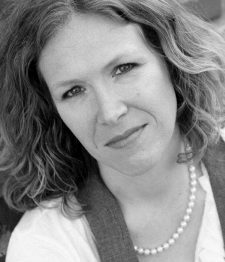 DCT’s Playwright-in-Residence Linda Daugherty has written many highly-acclaimed teen issue plays. These range in subject matter from eating disorders to bullying to dating violence to learning differences and teen brain decision-making. 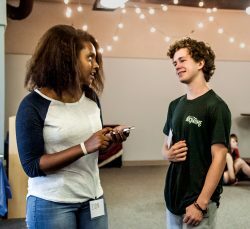 Each performance is anchored by an interactive post-show discussion with DCT’s Teen Advisory Council, which includes social, medical and psychological experts from all over North Texas. Some amazing, eye-opening conversations take place. This year, Linda has written a new play called SCREEN PLAY about the impact of habitual screen use. In her research, Linda discovered that more than 50% of teens admit they are addicted to their phones; meaning they are plugged in and tuned out. This may or may not be a surprise to you, but either way, if you know a teen or a child old enough to have their own digital device, this is a play and a discussion created with you in mind. Like I said, the play does not shake a finger at parents, or teens for that matter. But it is a frank exploration of the blurry lines between real life and life online. 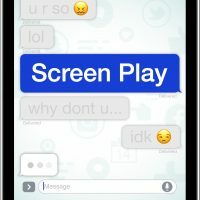 In the show, cyberbullying, the use of explicit content and screen addiction lead to irreversible consequences for a group of teens. In November 2017, DCT hosted a SCREEN PLAY Play-Reading and Panel Discussion which gave parents, teens and educators a sneak peek at the show, as well as an opportunity to talk candidly with experts about the timely, relevant topics in the play. Here’s what audiences who attended the event told us about their experience. The show will premiere at DCT February 9-18, and we really hope you will mark your calendars. To learn more about SCREEN PLAY and to purchase tickets for the show, visit dct.org/screenplay, or call the DCT Box Office at 214-740-0051.